Mental health challenges can be difficult to identify and address. Discussing a personal mental health issue with a colleague can feel awkward and even when the issue has surfaced, will you know the appropriate next steps? Often, there may be a tendency for managers to ignore an issue altogether in hopes that it will simply resolve itself. But ignoring mental wellness is simply not an option. Today, one in five adults experience mental illness while only 43 percent of those who are suffering seek treatment. In fact, mental illness costs the global economy one trillion dollars in lost productivity every year. Even if you have not personally experienced difficulties with mental health, it’s likely that someone you work with has. 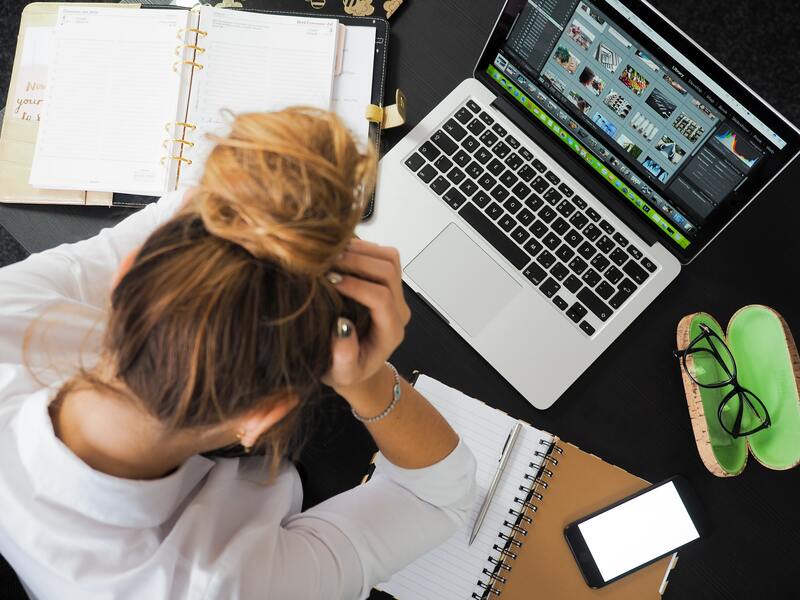 Not having the right resources or policies to manage mental health in the workplace can have detrimental effects on your business. Fortunately, there are measures, both proactive and reactive, that any leader can take to start supporting and promoting mental health in the workplace. Below are a few ideas to help get you started. Start by talking to your leadership team about their level of comfort discussing mental and emotional health in the workplace. Get a feel for their aptitude; ask them to share their opinions, offer ideas, and draw on past experiences. Supporting mental health in the workplace directly impacts your organization’s ability to foster a reduced-stress environment that encourages your people to better communicate, develop, and grow. These efforts require leaders to take time out of their day to connect with employees and understand the things they care about – their goals, values, and beliefs. To this end, it is of paramount importance that leadership supports and shares a common understanding of the organization’s mental health initiatives. Often it is helpful to connect these initiatives to your strategic business goals. For example, by supporting mental health in the workplace, you can reduce absenteeism and improve employee retention. Additionally, the financial impact of reduced employee turnover is significant. When wellness is managed skillfully, it can also reduce your organization’s healthcare costs. Once leadership is on board, sketch out your plan and establish a timeline. This may also be a good time to revisit your organization’s mission, vision, and values. Tying your wellness efforts to your organization’s principles helps create a stronger connection in the minds of your employees. A critical part of the proactive work is simply conveying and reinforcing that it’s okay to ask for help. People will not be judged but “met where they are” and supported. Every manager and HR person should be trained on how to respond when an employee comes forward. This will help eliminate any unnecessary stress or shame felt around the idea of asking for help in the first place. Another crucial action is identifying the things that inspire and create a sense of purpose for your employees. What do they value and what is important to them? Working to understand the needs of your employees and engaging with them will go a long way toward creating a healthy workplace. There are several ways organizations are going about this with their employees. Here’s a link to a summary from our friend Raman Chadha at the Junto Institute about the work Bain Consulting has done to understand the things that inspire their employees and make leadership effective. Bain’s research uncovered 33 elements that are significant for inspiring others. This work resulted in a greater understanding of the elements that are most meaningful to their employees, which ultimately impacts their ability to stay level-headed, cope with stress, empathize with others, and listen more deeply. Ongoing efforts such as those laid out above will help employees maintain greater mental and emotional health. They also play a key role in your ability to attract, retain, and develop talent in your organization. Online training. Offer your employees access to a SAAS-based video training platform. This alone is not a complete solution, but combined with other efforts, is a useful way of getting information and training to your people on their schedule and in an environment where they are comfortable. In-person training. This is most important for managers and HR staff. Leaders your employees turn to (managers) and are subsequently directed to (HR) should be well versed and comfortable with how to handle situations related to mental and emotional well being. The best way to prepare is through ongoing training, role-playing, and practice. Personality tests, check-ins, and surveys. Have your employees take personality tests to better understand their needs and communication styles. Have leaders conduct regular “emotional wellness” check-ins with their people, this helps build trust and encourages sharing. Finally, regular surveys that gauge the sentiment and morale at your organization provide an important touchpoint that help you keep a finger on the pulse and track progress over time. Employee Assistance Programs. Give your employees access to an Employee Assistance Program (EAP). These programs are reasonably priced and offer a variety of confidential counselling services intended to support employee well-being in and out of the workplace. Depending on your provider, these benefits may be extended to immediate family members as well. Other Employee Benefits. Offer employees a monthly stipend they can use for a gym membership, massage, or an art class. Consider bringing in a teacher to lead mindfulness practices, guided meditation or yoga. Think about ways to help eliminate other stresses they might have. Perhaps they’d appreciate financial planning or pet insurance. The habits and benefits derived from these offerings will help your employees feel cared for. Offering access to telehealth providers makes it easier for employees to get help when they need it. These wellness offerings can be a win-win, as they’re a pre-tax expense for the employer. In addition to these resources, you should always check with your health insurance carrier, who may have additional information, tools, and support they can offer as part of your group insurance plan. Even with the best proactive measures in place, mental health challenges may still come up and when they do, your organization needs to be prepared. The goal is to develop policies and procedures that enable employees and managers to know who to go to and how to respond when something comes up. It’s helpful to assign responsibility to a company leader or your HR professional. Of course, be sure to provide them with appropriate training so they feel confident in their ability to step in. Part of policy development is best practices; the other part is your legal obligation as an employer. For instance, if your organization has at least 15 full-time employees, the American Disabilities Act requires you to provide reasonable accommodations to employees who have a disability that could impact their ability to perform their job. In addition to physical disabilities, anxiety, depression, PTSD, and other mental health conditions are covered under this act. For more on how to appropriately handle ADA related accommodations, read this post on the CognosHR blog. Have a resource who can help direct employees to counseling programs, answer questions about ADA accommodations, and clarify your policies around leaves of absence. Build layers of support for your employees, distinct and separate from their managers. This layered support enables both employees and their supervisors to have a vital resource – a person who they can turn to in confidence. Develop written policies and procedures for responding to issues when they arise. For help with this, we recommend working with a wellness consultant or experienced HR professional. Having an expert resource who’s familiar with your organization also helps to take the pressure off of your leadership team and enables your team to work with minimal interruption. When it comes to promoting mental and emotional health in your workplace, there are several routes you could take – the key is finding the right mix of proactive work and reactive preparedness for your organization. Thankfully, there are a plethora of studies, resources, and experts available to help organizations create programs that promote mental health and drive organizational success. Start by doing some research and talk it over with your team. If you have questions about anything you’ve read here, feel free to reach to the CognosHR team. We’re happy to help!